The qualities of the Quarter Horse are vast. They are utilized for various purposes such as race horses, riding, being involved in rodeos, and also for ranch work. They can be found on the eastern side of the United States of America, predominantly in Virginia. The town of Richmond has been very prevalent in keeping this breed and tending to them on their ranches. 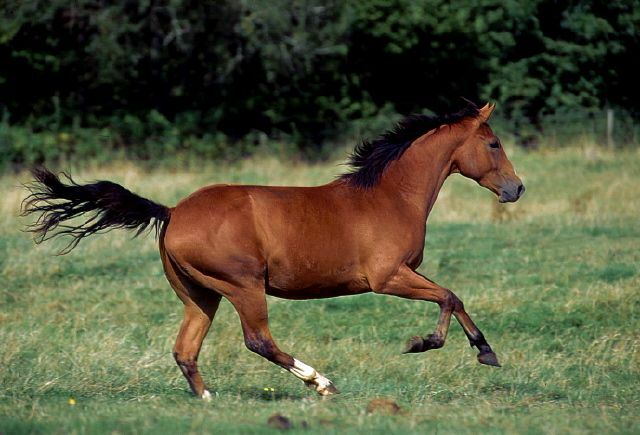 They are considered horses that are quick moving, simple to teach, and rather agile. Their ancestors are said to have combined the best in breeds as far as strength and incredible racing capabilities go. 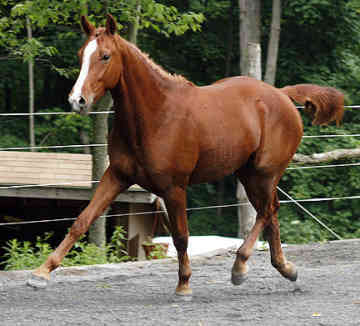 The Quarter Horse has a calm personality and bodes a lot of intelligence. This type of temperament is excellent for those younger years when you are aiming to train them. They can be left alone with ease and have the ability to easily reside in virtually any climate as well. 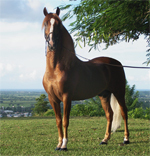 The Quarter Horse stands at around fourteen hands in full grown size. They are bred in just about any coat color and always with a solid shade. This breed has lots of muscles and strong feet. They are thought of as one type of horse that bodes immense power in their quarters. An arched neck, nice looking head and hard joints add to this horse's attributes. To properly care for your Quarter Horse you must be able to provide them with ample space to run freely. They are ideal for residing on farms or ranches in mild weather. There are no current medical issues reported concerned this breed and they are a breeze for youngsters to train to their fullest dependency levels. 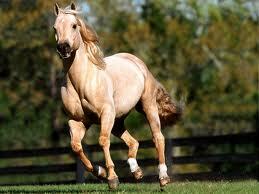 The Quarter Horse comes from the United States of America. They specifically come from Virginia, with a name that has been highly debated over time. 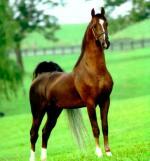 The Quarter Horse, some may assume, should equate the exact level of Thoroughbred blood lines it possesses. However, in this case, it may not be the case. The breed was given their unique name by becoming well rounded racing horses, ones that could easily race a quarter mile. 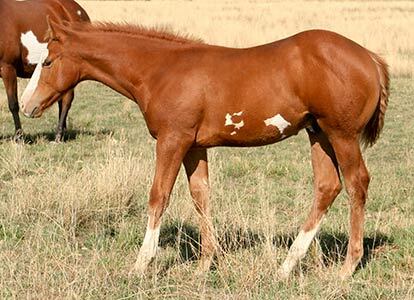 While the coveted Thoroughbreds did without a doubt have a significant role in the creation of the Quarter breeds, it is precisely what gave them their exceptional speed and endurance. At this time period it was the horses that were sprinters that gained popularity over the ones that were more focused on distance running. As time progressed, these horses did lose their favoritism and came close to extinction, but in the nineteen hundreds they quickly gained ranking as a favorite breed. Currently, there are estimated to be around a few million Quarter Horses walking the globe.